University of Brighton graduate, Matthew Broadhead, was selected to visit and report back on this years Unveil'd photo festival via Photograd. During his visit, Matthew took over the Photograd Instagram and has since written a very detailed and comprehensive report of his experience of the festival. We've decided to include the first section of his report here, alongside some of his images taken during the weekend, and hope that our readers would like to read the report in full on Matthew's website. We would like to thank Tom at Unveil'd for encouraging and supporting our call out, and Matthew for being a fantastic reporter. My name is Matthew Broadhead, I was selected to exhibit in Exeter Phoenix in South Devon for Unveil’d Open 2016. Also being chosen by Photograd to be the event reporter for Unveil’d I was in Exeter and present at a selection of scheduled events throughout Friday 21st, Saturday 22nd and Sunday 23rd October. The first event I attended was Project Management in the Arts held by Daisi from midday until 2:30pm at Exeter Library in The Rougemont Room. Daisi are the Arts Education Partnership organization for Devon and Torbay started in 1995. To summarize, they provide information, advice and development opportunities for artists, young people and educators. Ruth Cohen delivered the talk and the presentation provided an introduction to the organisation along with case studies of what they’ve done recently as part of their initiative. The workshop aspect was simple but effective, forming groups to conjure a response to a commission for charities including Cancer Research UK and The National Trust considering a programme and who/what it’s target audience to enrich is. It highlighted important questions unearthed during the process of creating a proposition for funding and then the endeavour to answer the questions and deliver. Many of the students who attended the talk were Plymouth College of Art students studying BA (Hons) Photography in their third year and Louise Fago-Ruskin, lecturer in photography at Plymouth College of Art, approached me after the workshop to deliver a talk to her students about my body of work Heimr exhibited at Exeter Phoenix for Unveil’d Open. I was very pleased to oblige and we went over to the venue after Daisi’s workshop. I had a very positive experience talking about my work and practice after graduating from Brighton University for around three quarters of an hour. The setting of each exhibit correlated with the locations of these ten towers. The images were printed on strong weather resistant material with a loop at the top and bottom for scaffolding tubes to pass through. This particular piece consisted of four panels with a single large format image on each side by the artists Jessica Lennan, Oliver Udy, Eva Cooney and Glauco Canalis. All of the imagery was evocative of environment, both with and without human presence. Eva Cooney’s dramatic piece particularly reflects the movement of the river through Exeter. A few minutes walk through Rougemont Gardens in the green space elevated between Exeter Phoenix and the rear entrance of the Royal Albert Museum there was a single piece by Tim Mills titled Overdale Road from his project Twelve Shilling Paradise. The garden study depicted a fish tank with live goldfish positioned on bubble wrap on a piece of wooden furniture. The concept of the exhibition and ideas ruminating in this photograph make me consider the transience not so much of the environment but more of the existence of humanity within it. The detail shot shows a ladybird and the whole front and back of this piece were covered with them, adding another dimension to the piece. Unfortunately by the time that I was exploring Towers for myself the artwork in Northernhay gardens was vandalised and subsequently taken down. The work presented belonged to Robert Darch and Melanie Eclare. The final exhibit I saw as part of Towers was further away towards Exeter Bus Station in Southenhay Gardens. The triangular structure consisted of work by Jem Southam, Fern Leigh Albert and Brendan Barry. To read Matthew's report in full, visit his blog. In collaboration with Unveil'd, we recently called out for a UK based photography graduate to report on this years photo festival. We're excited to announce that University of Brighton 2016 graduate, Matthew Broadhead, was our stand out graduate and has therefore been selected to document his time in Exeter! Matthew was the perfect selection as he has some work in the Unveil'd Open exhibition so we're looking forward to his feedback on being part of the festival as well as a visitor to many other events taking place over the weekend. Matthew will be creating content for our blog and taking over the Photograd Instagram for the weekend so we can follow his visit. Festival Report Call Out! Unveil’d Photo Festival. 20th - 23rd October, Exeter. Unveil’d is a not-for-profit organisation, celebrating contemporary photography through intermittent events, bringing together photographers, collectives, publishers and professionals to create and commission exhibitions, book fairs, workshops and a physical space for discussion. Each member of the team have a background or contemporary practice in photography, including arts management, curatorship, education and publishing and share in the organisation’s understanding that photography is a widely accessible medium. Utilising this to effect the aim of using diverse spaces to share photography with a wider audience, engaging communities and the public. Unveil'd seeks collaboration and wishes to open opportunities, encouraging proposals from individuals, organisations and galleries. This October, Unveil'd will host a multi-location photography festival throughout the city of Exeter featuring exhibitions, talks, workshops, film screenings, a photobook fair and music. Together with Unveil'd, we're calling out for an enthusiastic, dedicated, and dependable UK based photography graduate to report on the festival in October. The team have very generously given us one free ticket to assign to the chosen reporter, giving them access to all events taking place within the festival. The Festival Report will need to consist of words documenting the visit and lots of images to coincide. An Instagram Takeover is also an option. The completed blog post will then be cross promoted by both ourselves and Unveil'd once live. To put yourself forward, simply send an email to photogradsub@gmail.com with your name, the university you studied at and year you graduated, your website link and any relevant social media handles. Don't forget to follow Unveil'd on Twitter and Instagram to keep up to date with the festival prep! To find out more about how to be a part of Photograd, check out our Submit page. 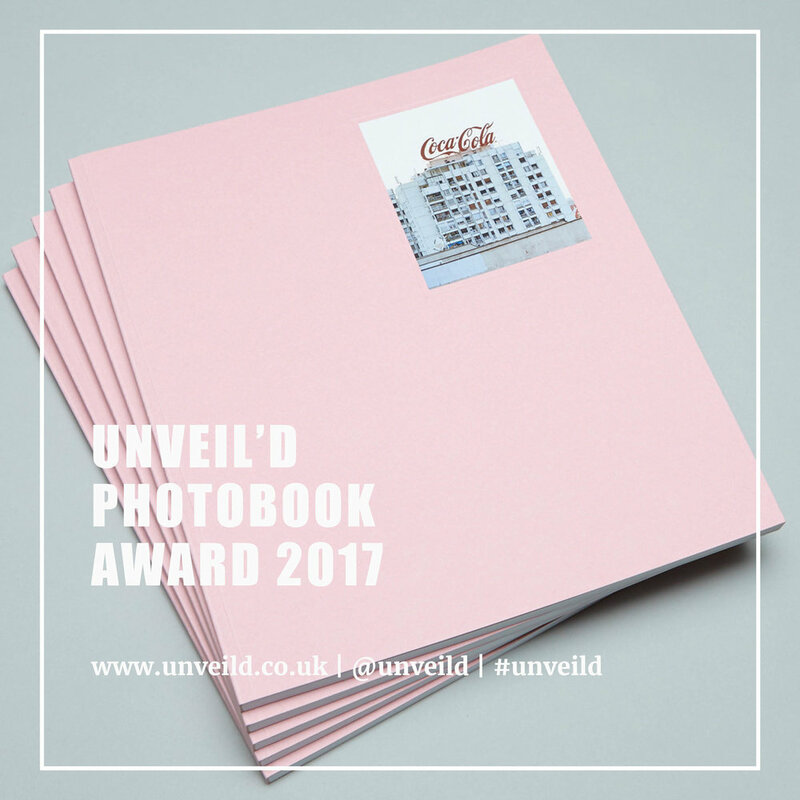 You might even like to check out the Unveil'd 2016 Photobook Award which is currently open for submissions. The winning prize is a solo-show, which will be designed and curated specifically around the photographer's needs, five titles will be shortlisted. We strongly urge you to submit your work; we'll be featuring the winner and runners-up on the Photograd platform later in the year, and we're really excited!